On the New Year's Day edition of Smackdown, WWE booked a Fatal-5-Way number one contender's match for Daniel Bryan's WWE Championship. 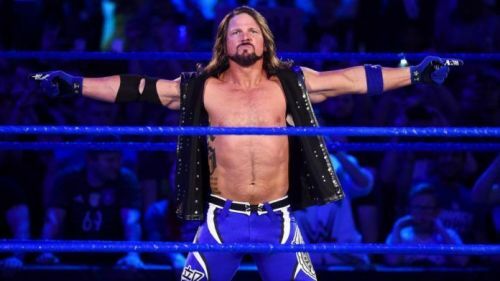 In what was a wild and frantic bout, AJ Styles overcame Rey Mysterio, Randy Orton, Samoa Joe and Mustafa Ali to set another date with Bryan for the title at the Royal Rumble pay-per-view. It seemed like their feud was done after the different segments both Styles and Bryan were part of on the previous episode. Daniel Bryan looked to have started a program with Smackdown newcomer Mustafa Ali, who picked up a pinfall victory over the champion in a tag team match also featuring Styles. Elsewhere, the Phenomenal One was part of a show-closing backstage segment which saw him punch Mr McMahon after getting berated by the chairman. It is intriguing to see what will come of that, but we will have to wait until after Royal Rumble for it. This WrestleMania season is shaping up to be one of the most exciting ones ever, with nothing set in stone so far. There are so many directions the company could take us with all the championships, including the WWE title. Another Styles vs Bryan championship match on pay-per-view is never going to be a bad thing, but it seemed like it was Ali's shot for the taking. Here are three reasons why it was AJ, and not Ali, who won the Number One Contender's Match on Smackdown. This feud has been pretty great. Daniel Bryan and AJ Styles started feuding over the WWE Championship during the final quarter of 2018, with a couple of excellent television matches for the title. Bryan turned heel to win the WWE Championship from Styles on the Smackdown before Survivor Series, sending their feud into a higher gear. His heel run has been amazing, bringing the fire he did not seem to have during the initial months of his comeback from retirement. Bryan has been stellar on the microphone and is showing why he is one of the best WWE superstars on the roster. This feud has also revitalised the former WWE Champion, who seemed to grow stale towards the end of his year-long reign. The match between the pair at TLC was brilliant, showcasing the world-class abilities of both Daniel Bryan and AJ Styles. However, it did end in a small package, meaning there still is some scope for a definitive finish to this rivalry. Perhaps we might get a big stipulation match between the pair to freshen things up and cap off a fantastic series of matches.